One of my favorite childhood memories involves butter, sugar, flour and chocolate. Growing up in an Asian home in tropical Singapore, ovens were a luxury. So making chocolate chip cookies with Mum at Grandma’s home was always an occasion in itself. I can still vividly remember the feel of dough in my hands and the smell of freshly baked cookies wafting out of Grandma’s kitchen. Those simple pleasures brought a sense of joy and wellbeing to me as a child. In my late teens, I decided to depart from Mum’s only chocolate chip cookie recipe and ventured into baking a variety of desserts and pastries like cheesecakes, cakes, muffins, brownies, quick breads… the list doesn’t end! I loved poring through recipe books and experimented with whatever recipe caught my eye. Whenever I tasted a good dessert, I looked for ways to recreate it. This love affair with all things sweet and baked continued into adulthood. Even while I was establishing my career as a performing artiste, I was known as ‘the baker’ for I would bring homemade treats or desserts to theatre rehearsals and tv sets. Watching faces light up when people take their first bite was always a joy that motivated my edible hobby. In 2009, my husband and I moved to Vancouver, Canada for him to do his Masters degree. One day, I packed a box of freshly baked treats for him to share with his classmates. After which, I received an unexpected and surprising invitation to apply for a catering job at the school. One thing led to another and I spent the next two years catering for the faculty and another two years as the hospitality coordinator, overseeing the college’s kitchen facility and catering needs. It was also in Vancouver that I decided to enrol in pastry school for some formal education. I already knew I loved baking, but I didn’t know my love for it would explode exponentially when exposed to all the various aspects, techniques, and science of baking. 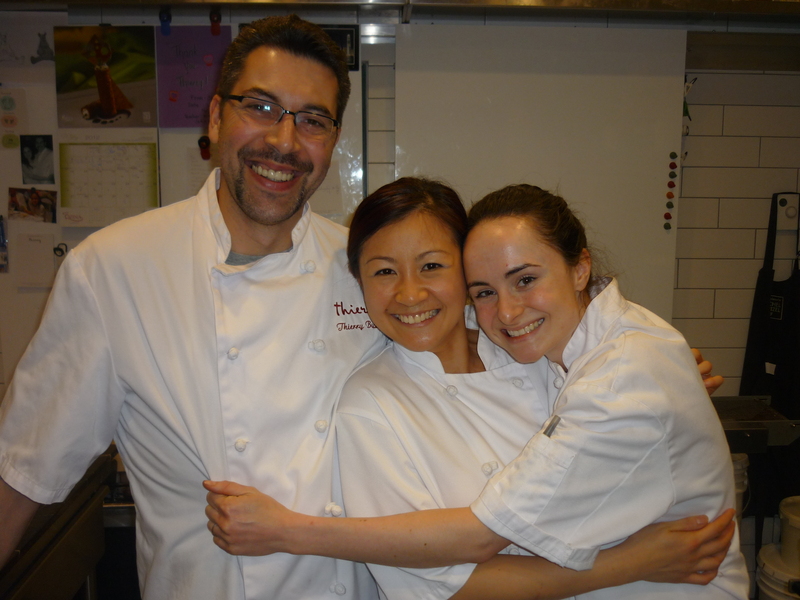 Upon graduation, I started work the following day in one of Vancouver’s finest patisseries–Thierry. I had the privilege to work with French Chef Thierry Busset, awarded the city’s best pastry chef in 2012. Working there was an absolute gift, and I looked forward to going to work everyday with an awesome bunch of colleagues. For now, I am back again in the tropics, and hope to share my love and knowledge for baking and pastry with others. 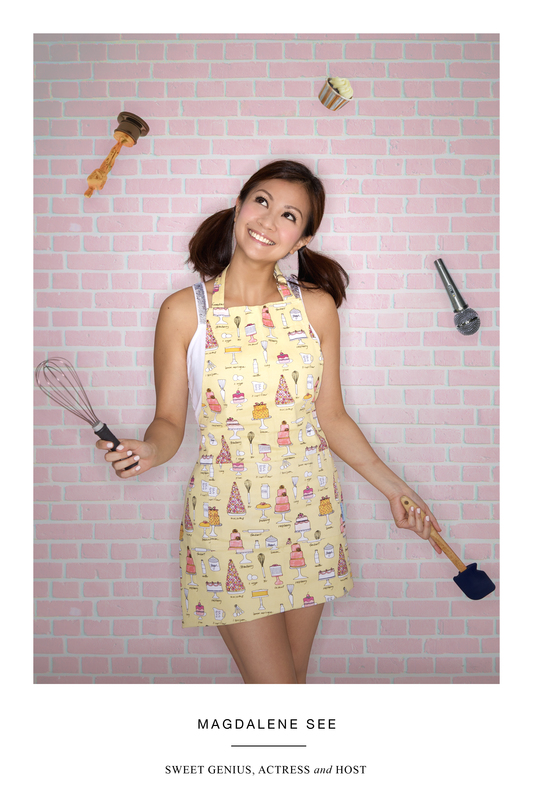 My dream is to be able to integrate my experience as an artiste together with my passion for baking. Meanwhile, I am happy to reach out to people through this blog and hope you will come on this journey home with me. For more on Magdalene, pls see her artiste bio with Fly Entertainment.